Just as there are things in your home that you use year-round, there are also plenty of things that would be considered seasonal. You certainly don’t keep up the Christmas decorations into July. You’re also not wearing your winter sweaters in August. When storage space is at a premium it helps to cycle out the winter stuff from the summer stuff. As you pull out your winter stuff for the coming cold season, you might discover there are a lot of things that you could get rid of. Anytime you can toss out a box of clothing or some old sporting equipment you’re going to free up a lot of storage space and that can make a huge difference around the house. There are a lot of winter “toys” that often only come out when it snows. You could have skis, snowboards and sleds that are stored in the garage or up in the attic. But if no one is using an equipment, then why hold onto it? There’s also a bunch of winter tools that might also be taking up space. Every home in Pittsburgh should have a portable snowblower but one that works. If yours is broken beyond repair, then it needs to be tossed out. As for all the winter clothing, there’s probably a lot of things that you are not going to wear again regardless of how warm they might be. Plus, you have to consider that a lot of new outfits might be coming in for Christmas. You definitely want to make room for the new stuff, right? Once you have decided that you want to get rid of all this old winter stuff it’s time to call in Junk King Pittsburgh. They’ll send over a pair of dedicated movers who will be doing all the lifting and loading for you. The great thing about hiring Junk King Pittsburgh is that there crew will also climb as many stairs as it takes to get to all your stuff. That means you don’t have to create a pile in the living room of all the things you want to get rid of. Just leave everything right where it is and show it to the Junk King crew when they arrive. 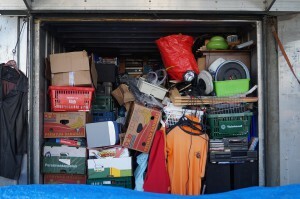 Make more room in your home by having Junk King Pittsburgh haul away all your old unwanted winter stuff today. This entry was posted in Pittsburgh Junk Removal and tagged Junk King, junk removal, winter stuff on November 28, 2017 by Junk King. Last updated November 28, 2017 .